A stunning 4 in 5 women working in U.S. agriculture suffer sexual harassment and assault on the job. Yet there is real hope for change: through the Fair Food Program, sexual harassment and assault have been virtually eliminated on FFP farms. 14 major food retailers are now shouldering their responsibility to back farmworkers' efforts to end sexual violence with their purchasing power -- yet Wendy's has yet to join all of their major competitors in the Program. In fact, Wendy's has chosen to shift its purchasing of tomatoes to Mexico, where gender-based violence goes largely unchecked -- all the while lifting up their own supplier code of conduct, which contains no effective mechanisms for worker participation and enforcement. 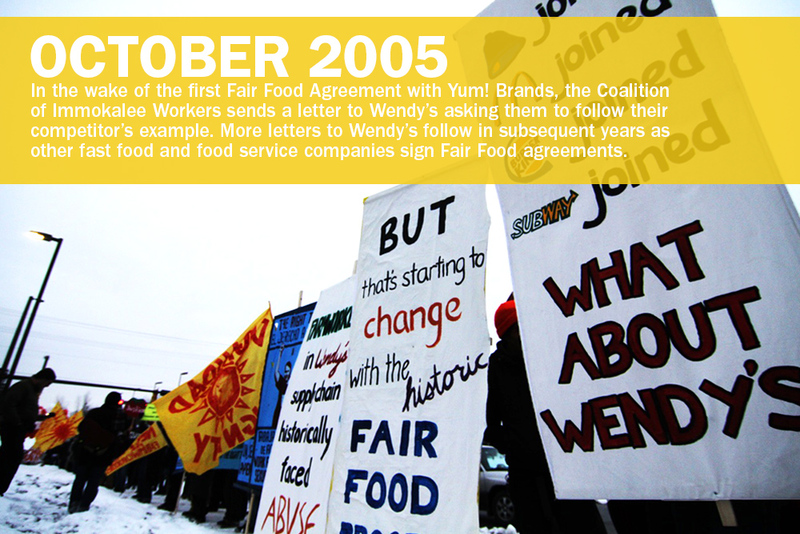 It is far past time for Wendy's to end the violence in their supply chain and join the Fair Food Program. Wendy’s Code of Conduct urges their suppliers to respect all applicable laws. But the standards were developed without the voice and participation of workers, who experience conditions in the fields first hand and therefore know best how to ensure a safe and healthy work environment. In contrast to the Fair Food Program, Wendy’s Code does not include mechanisms to enforce their standards. Under the Fair Food Program, workers are trained and empowered to report abuses, and there are market consequences for growers who choose not to comply with the Fair Food Code of Conduct. Wendy’s now claims to provide third-party audits for some of their suppliers, but their process for said audits is far from transparent. In contrast, the Fair Food Standards Council (FFSC) interviews at least 50% of workers during announced and unannounced audits during a season, and through a 24/7 hotline, the FFSC has received and resolved more than 1,500 complaints in the last five seasons since the FFP’s implementation. Wendy’s says that their Supplier Code of Conduct sufficiently protects workers’ human rights. The Fair Food Program does not require participating buyers to pay the employees of other companies. Through the FFP, buyers pay a small penny-per-pound bonus to growers — a bonus which all of Wendy’s major competitors have been paying for years — so that the price that Wendy’s pays for tomatoes can allow suppliers to improve the poverty wages of workers. This bonus is paid directly to growers, who distribute it to workers. No part of this bonus goes to financially support the activities of the CIW or FFSC. Wendy’s says joining the Fair Food Program would mean paying the employees of other companies, including their suppliers, which they don’t see as their responsibility. 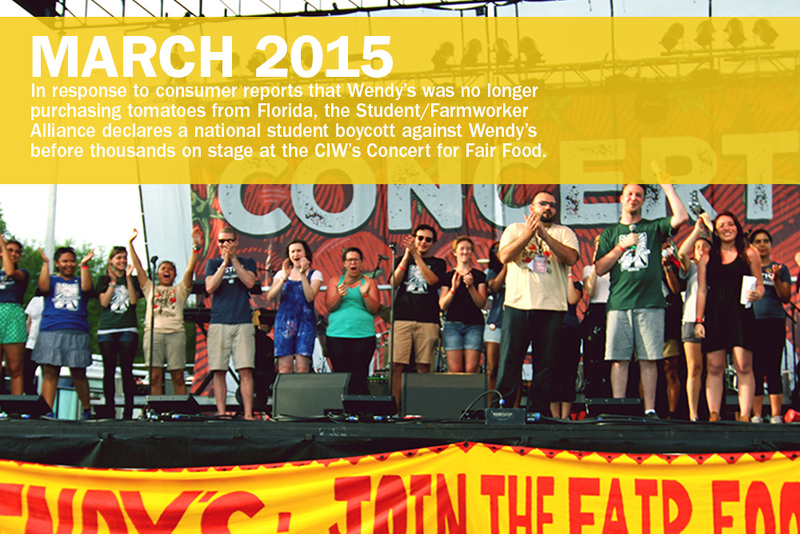 Wendy’s says that the CIW is financially benefiting from the FFP’s penny-per-pound. Neither the CIW nor the FFSC benefit financially from the Fair Food Program, as no percentage of the bonus goes to these organizations. The bonus is paid to growers, who then pass it on to workers. 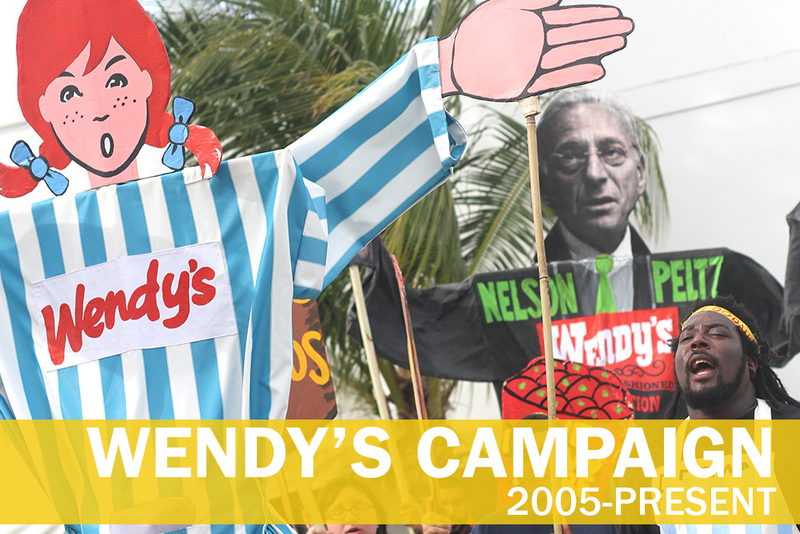 Wendy’s says that the Coalition of Immokalee Workers is financially benefiting from the FFP’s penny-per-pound. Wendy’s is satisfied with the quality of tomatoes they purchase from Mexico, whose agriculture industry suffers from numerous unchecked human rights violations. There is no program in Mexico protecting the rights of workers in a way remotely similar to the Fair Food Program. In fact, one farm from which Wendy’s purchases, Bioparques del Occidente, was investigated for instances of child labor, physical violence, and forced labor in its operations. Wendy’s says they are happy with the quality and flavor of the tomatoes they purchase from Mexico. The Kaliroy Corporation, headquartered in Nogales, Arizona, with offices in McAllen, Texas, and Los Angeles, is the U.S. distribution arm of the major Mexican tomato grower, Bioparques de Occidente, which, according to the Los Angeles Times, produces up to 6 million boxes of the red fruit each year for the U.S. market—an enormous operation whose expansion has been fueled in part by a $17 million loan from the World Bank. As Kaliroy confirmed when I called, they are one of the suppliers to Wendy’s.